Intentionally priced below comps for fast sale! I am sorry for the excessive verbiage but worth reading if you have a Buyer wanting a home in a premium neighborhood and more than premium location and at a most attractive price. Unfortunately our Buyer flaked and as a result this amazing opportunity once again exists. I appreciate you reading this and also thank you in advance for considering forwarding this to your client or better yet showing the home to them. They will thank you. Largest model on one of the largest lots by far in Marlborough Park Estates! Also one of the best locations within subdivision away from and not backing up to any busy streets! Great floor plan with one bedroom and one full bath downstairs. Separate formal and casual living areas, updated kitchen with slab granite counters, very nice pool and spa, oversized master suite with lavish bath including dual vanities, large soaking tub and recently replaced separate stall shower. Large walk-in closet too. 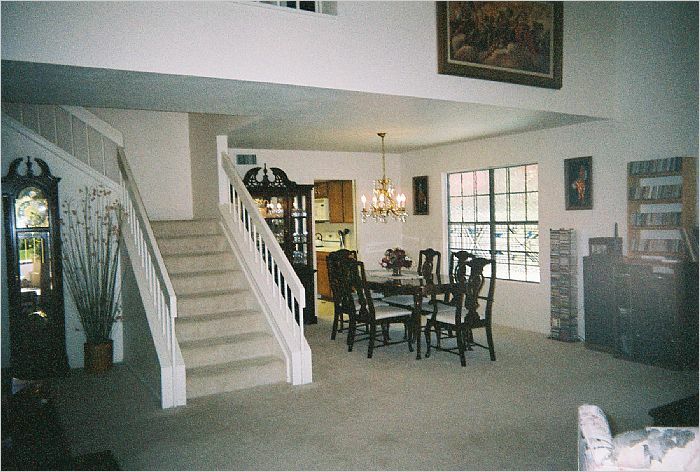 High ceilings with no ''popcorn'' for a more contemporary look and feel! 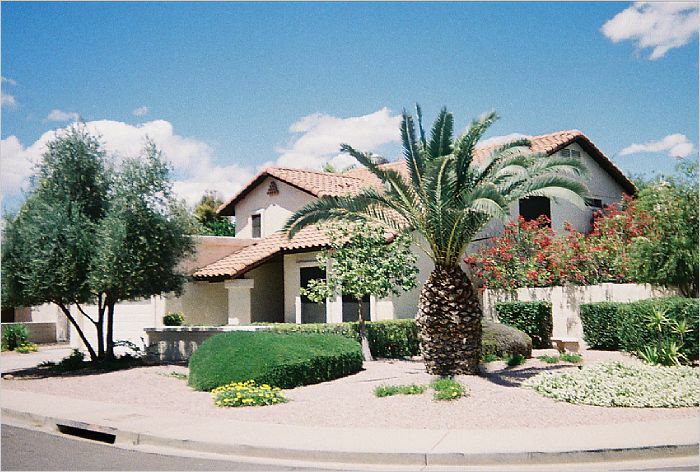 Outstanding location very near ASU, light rail station, Tempe Town Lake & Mill Ave. 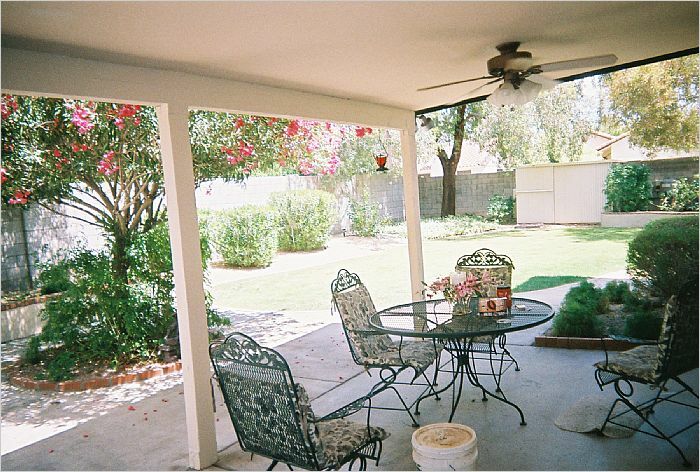 Recently painted exterior, full two car fully finished garage and nice covered patio. Washer, dryer and refrigerator to remain too! INTENTIONALLY BY AND FAR THE BEST DEAL IN MARLBOROUGH PARK ESTATES! CHECK COMPS BELOW AND YOU WILL QUICKLY AGREE! 1: 436 E Susan Dr which closed on May 25, 2018 at $395,000.00. It is the exact same model with a superior kitchen however a much smaller lot (some 2,832 less or about 1/3 less), no pool and average location at best. Even if I was going to give the kitchen $10,000.00 in sales value for being superior to ours, that adjustment would be more than wiped out by the lot size difference for 452 E Lilac Dr, the pool and as a side note the bathrooms at 452 E Lilac Dr have a relatively new shower in the master and a relatively new bathtub in the upstairs hall bath. 2: 437 E Marigold Ln which closed on May 3, 2018 at $402,222.00. First and foremost it is a bit smaller albeit only by 72 square feet so I will ignore that for the moment but in comparable condition. The lot size is grossly smaller by 2,962 square feet, average location at best and if this home and our property were priced identically to it and 100 buyers were to view the homes simultaneously I would bet you over 80% would buy ours at the same price and would even make that 95% for betting purposes. 3: 438 E Barbara Dr which closed at $422,222.00 just a few days ago on August 3, 2018 is the same model as 452 E Lilac Dr and is in superior condition but on a much smaller lot (6,704 versus 9,113) and has neighbors on both sides. You decide how much you want to give in sales value for condition, $20,000.00, $25,000.00 or even $30,000.00. Make a reasonable adjustment for lot size and location and where do you end up? 4: 1420 N El Camino Dr which closed on June 27, 2018 at $425,000.00. It is the identical model on a similar size lot and admit tingly in better condition. Let's be generous and give it $30,000.00 for the superior condition and again I feel I am being generous but some adjustment would need to be made the other way as it backed directly up to College Ave which has significant traffic and road noise. I also feel that these two additional comparable sales should be considered when evaluating a fair value for 452 E Lilac Dr: 1: 435 E Barbara Dr which closed at $415,000.00 just a few days ago (closed on August 20, 2018) was only three bedrooms and two and one half baths versus the four bedrooms and three full baths offered in our property. Would you agree that some value has to be placed alone for this feature? Add in that this home is also only 2,273 square feet versus 2,444 and the lot size is 7,379 versus 9,113. It also has homes on both sides. 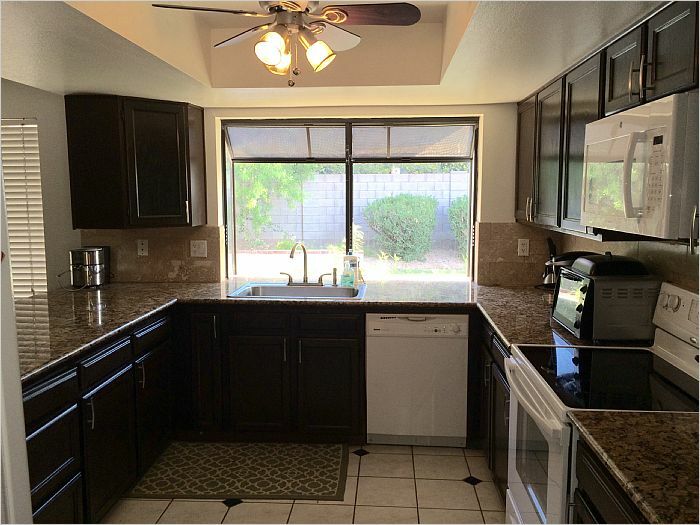 Kitchen and condition is superior and even if I was to give $20,000.00 in sales value for this item, some of that additional sales value would be wiped out by the other items I indicated. 2: 409 E Barbara Dr which is pending after only five days on the market (off market on July 31, 2018) so I have to believe it sold for close to its asking price of $425,000.00. Like the home at 435 E Barbara Dr, it was only three bedrooms and two and one half baths and was only 2,273 square feet. The lot size was also only 5,837 square feet or about 36% smaller which is significant. The condition was superior by a fair margin but even giving $25,000.00 in sales value for the condition, again some consideration for the smaller lot size, smaller home size, less bedrooms and one half bath less not to mention having homes on both sides would have to be taken into consideration as well. Here is a link to the six comparable sales that I have referenced Follow this link to see the page: www.flexmls.com/link.html?1dgf2dmki7ce,12 This link will no longer be available after 9/18/2018. We have also hired a professional tradesperson to complete virtually all noted repairs as a result of the home inspection report and all are either completed or are in the process of being completed and still intentionally priced the home quite a bit less than the comparable sales! It is said �that you can change the condition of a home but cannot change the location� and a market savvy Buyer when comparing will quickly conclude that having a North/South exposure on a lot away from busy streets with neighbors only on one side has huge value not to mention having a lot significantly larger than most all in the neighborhood is worth a premium even though in this case one is not being asked for! This is a solid opportunity for the Buyer who demands location, value and amenities all in a single package. I assure you that your clients will quickly realize this and thank you for presenting this opportunity to them. Call or email me with any questions. Again, I apologize for the excess verbiage but definitely worth the time to read so thank you. Downstairs bedroom and full baths! Almost 2,500 square feet of living space! One of the largest lots in the neighborhood! 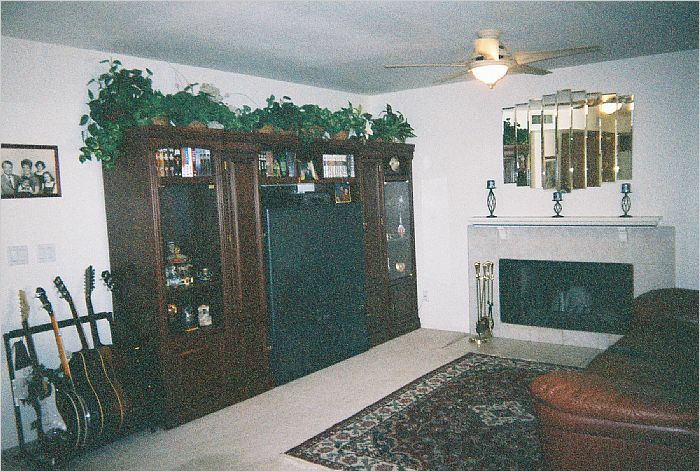 Separate formal and casual living areas! 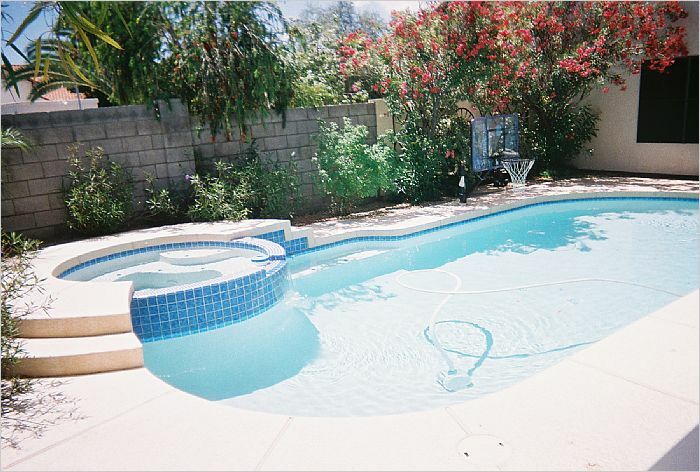 Great yard with private pool and spa! 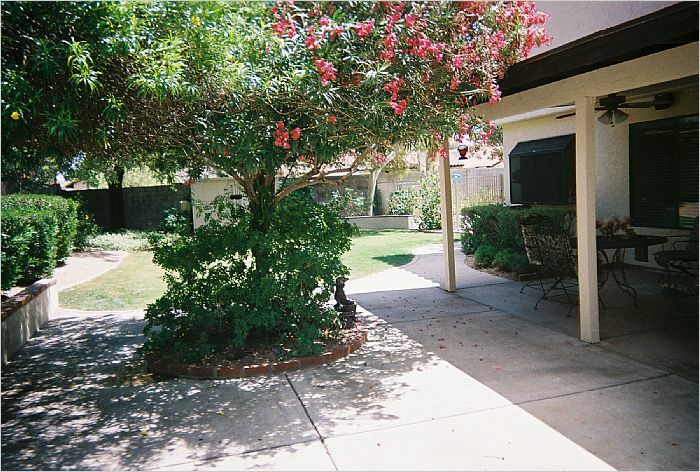 Large 9,113 square foot secluded lot!